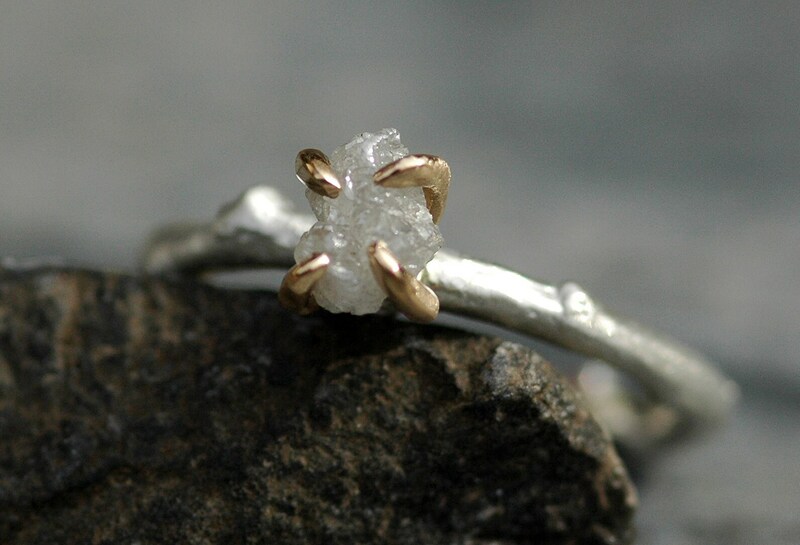 This engagement ring is ready to ship. It is a size 8.5. Like the ring, but not the size? 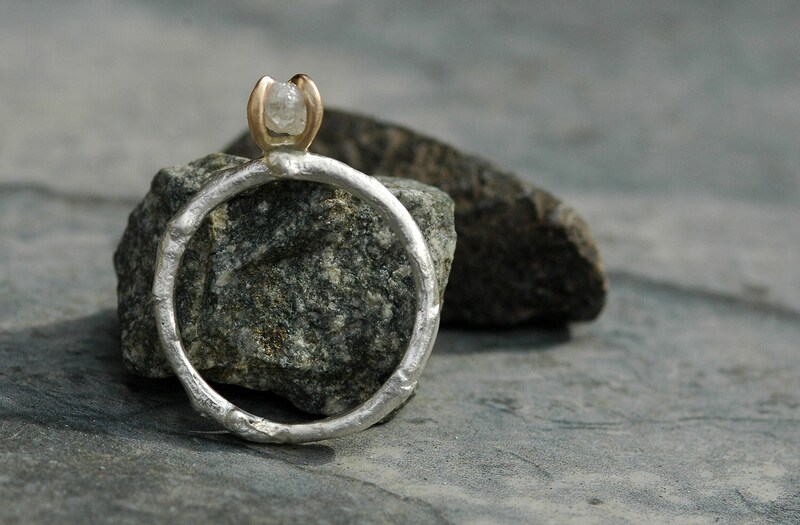 Get in touch for a custom ring, built to your specs. 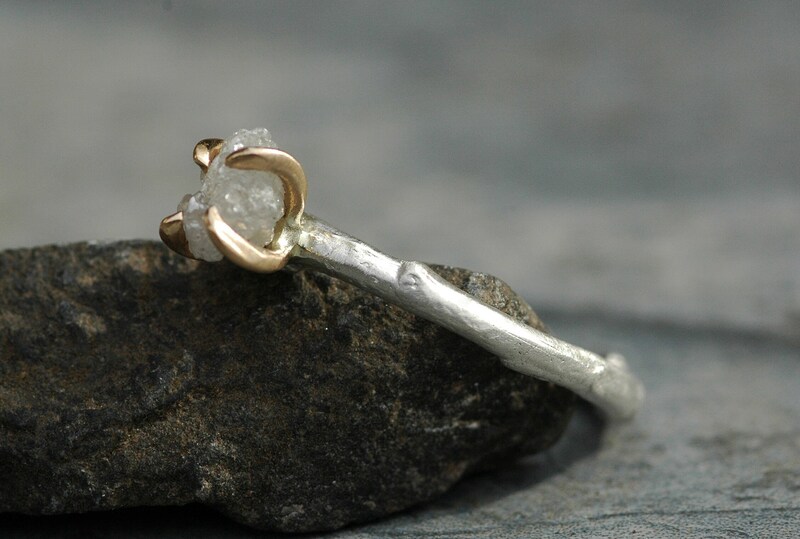 Larger or smaller diamonds can be used, as well as rose gold prongs if you prefer. I forge these from a casting of an actual branch. 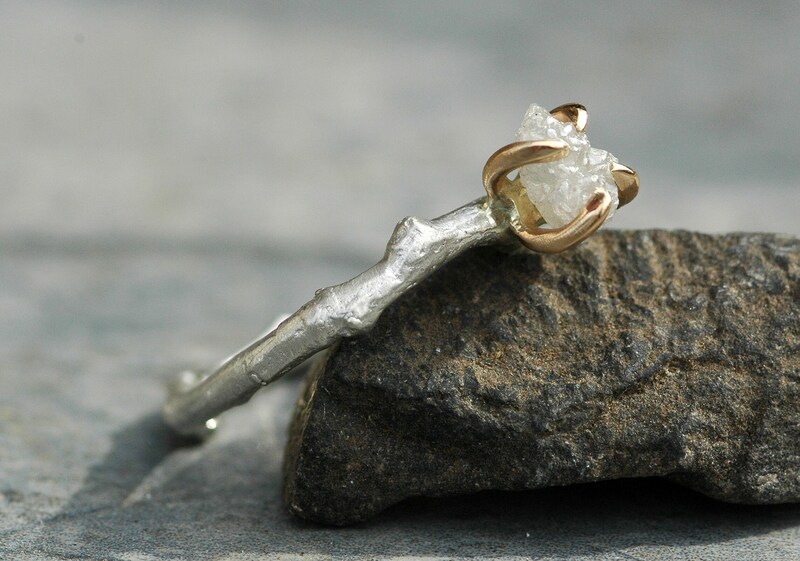 The setting is a hand-built four prong setting, in recycled 14k yellow gold. 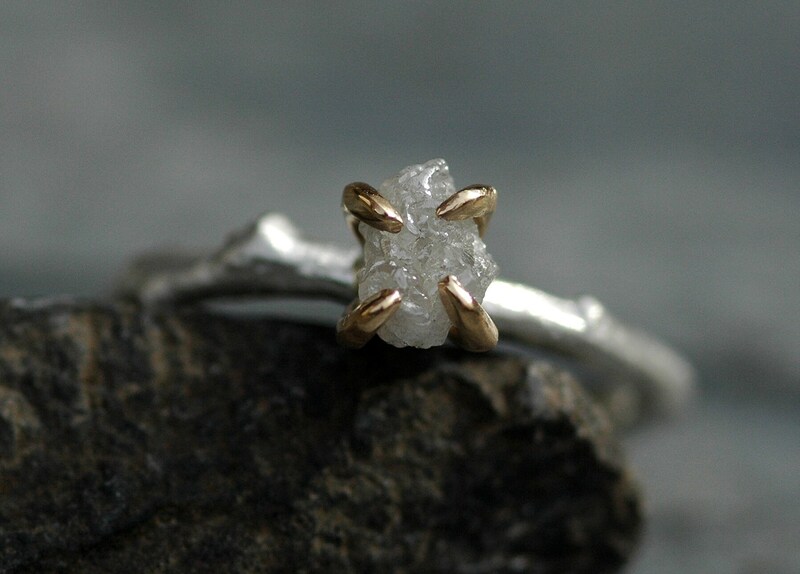 Set in the ring is an icy, shimmery conflict-free raw diamond. 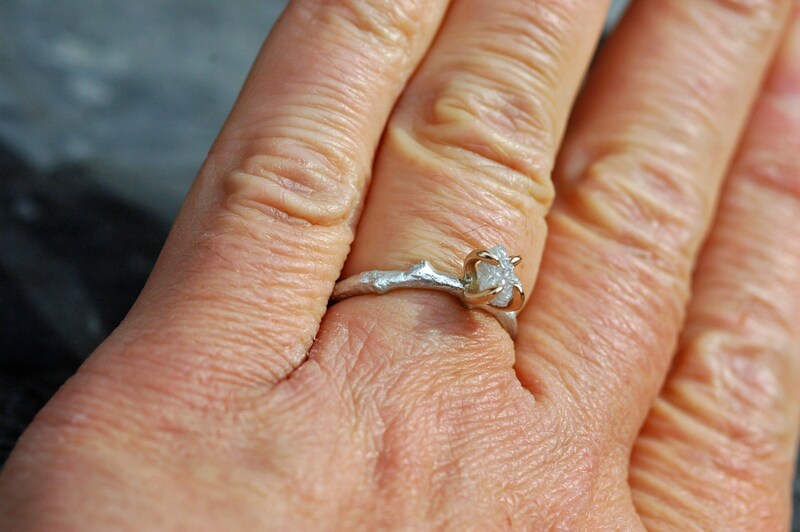 Due to the lighting, the diamond is looking a bit dark in the photos- it is brighter and lighter in real life.